1 . Contains a highly concentrated source of pure cell wall glucans. 2. 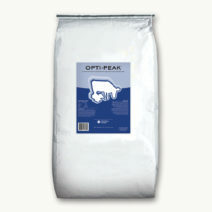 Has a high mycotoxin blocking capacity. 4. Works on a wide range of mycotoxins. 5. 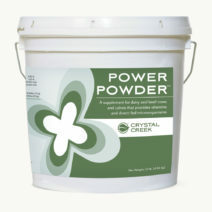 Provides significant immune system support. 6. Contains glucans that do not tie up nutrients in the ration. 7. Is stable in the digestive tract. 8. Is effective at low inclusion rates. 9. Is economical to feed. Nature’s Better Alternative: Research shows that nature provides a better mycotoxin blocker than non-polarized clay, charcoal based materials and/or humates. This natural blocker comes in the form of a material found in cell walls called B-1, 3 glucans. These compounds function specifically to defend the cell/body from toxic compounds such as mycotoxins. B-1, 3 glucans are fibrous carbohydrates that are not broken down by enzymatic action in the digestive tract and do not tie up critical nutrients. 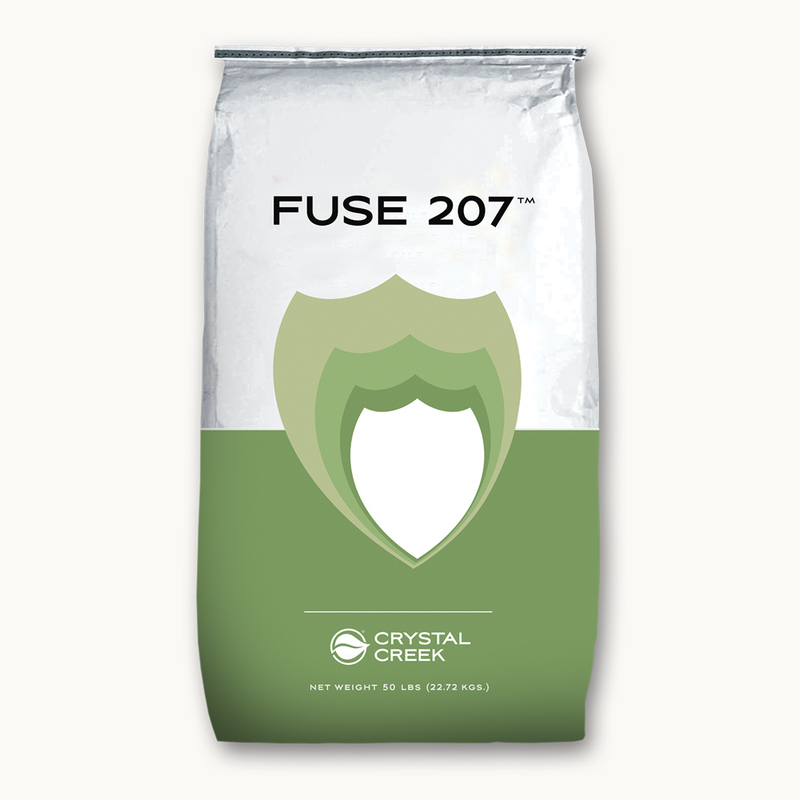 Because of the many different types of mycotoxins, Crystal Creek’s® Fuse 207™ offers a diversified formulation of highly concentrated glucans from multiple sources, as well as polarized ions to better block a wide range of mycotoxins. Fuse 207™ is highly effective against many types of mycotoxins, however, when dealing with mycotoxins such as DON/Vomitoxin, we recommend the use of Fuse 207™ in conjunction with Crystal Creek® Ultrasorb. One level 8 oz. measuring cup of Fuse 207™ weighs approximately 0.5 lb., or 8 oz., or 227 grams. 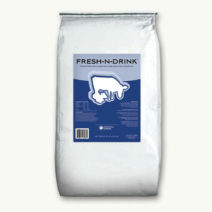 Feed 0.07 oz. to 0.14 oz. per hundred pounds of body weight per head per day. OR: Feed 2 to 4 grams per hundred pounds of body weight per head per day.